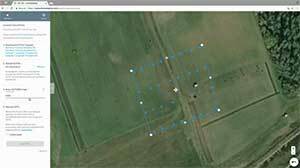 Drone Mapping 101 - Learn how to create precision maps with your drone! If you’re looking to create high resolution, accurate, and detailed maps with your drone, you’ve come to the right place! We’ve put together a training course showing our EXACT method that we use on every mapping drone shoot that we do. 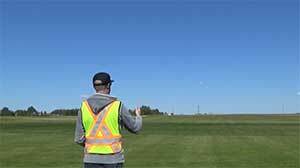 You’ll get to watch and learn as Chris takes you from A to B, teaching you his entire drone mapping process! 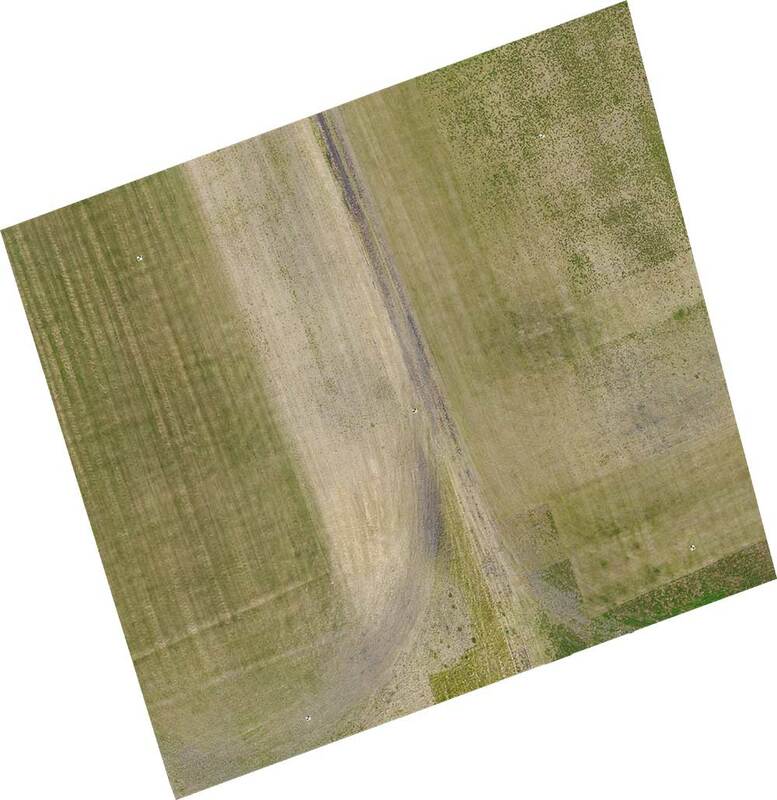 Not only will you get to learn how to strategically place your ground control points and plan your flight, you’ll also get to download the exact same photo dataset shot with the drone, so that you can follow along during the processing stage! What will we process with? Well, instead of just one piece of software, I’m going to show you how to use the big three! 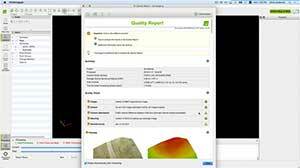 Drone Deploy, Maps Made Easy, and Pix4D will all be covered off in this drone mapping course! You’ll have instant access to the 7 part course and download materials, and can get started mastering the art of drone mapping immediately! In just under 2.5 hours, you’ll become a master of planning, flying and processing maps with your drone. In addition to the 7 modules below, you’ll also get to download the entire photo set that we used to process maps during the course, and lifetime access to all the training! In module 1, I’m going to introduce you to the course, how I assess an area, and how and why and strategies for placing and using ground control points. In module 2, we’re going to plan our flight based off the specific area the we want covered, using overlap, wind, flight direction, and other considerations to have the most efficient and productive flight. In module 3, we’re going to cover off how autonomous flight happens, image collection, what the drone is doing at various points of the flight mission, and how to safely land after the mission is complete. In module 4, we’re going to cover off how to pick up your ground control points. Yes, there is a proper way to do it to ensure that your data will be accurate! 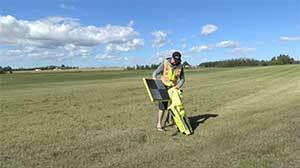 In module 5, I’m going to teach you how to process your map, including ground control points, with Drone Deploy. 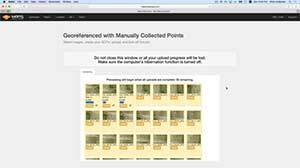 In module 6, I’m going to teach you how to process your map, including ground control points, with Maps Made Easy. In module 7, I’m going to teach you how to process your map, including ground control points and manual tie points, with Pix4D. You’ll be creating drone maps like this in no time! This is a scaled down version of the geo-referenced map that we will learn how to create with this course. Once you create this map as a demo, you’ll be creating your own high resolution geo-referenced maps in no time at all! Chris, I want to say thank you for creating this course and allowing me to be a part of the initial beta testing group. Prior to taking your training, I wasted lots of money and hours on end trying to figure this stuff out on my own, but your course has quickly provided me with the understanding required to quickly and efficiently create professional and accurate maps with my drones. The added benefit is that you don’t just concentrate on one of the mapping software solutions, but instead you show us how to use all of the big three! Thank you so much for everything you do, and for helping launch my commercial drone mapping company! – Tom D.
“I finally got a chance to check out your work and I can tell you I am totally blown away by the detail of the maps. What an awesome job!! Thank You! !” – Debra B. New Drone Pilots: Save yourself the months and hours of painful trial and error, and learn from us! Current Drone Pilots: Not producing something that works? We’ll show you how to create something that does! Our Competition: There is no doubt that the competition wants to know how we create these works of art! Anyone! If you’re looking to create stunning quality results, we’ll show you how! Who are we to teach you? We’re not just a training school, we’re a full time commercial drone operation that is actively creating maps for a variety of industries including construction, real estate, oilfield, and agriculture to name a few! We’ve been in the drone industry for over 4 years, and have hundreds of commercial flight hours that have perfected our skills. We’re industry professionals that will teach you exactly how its done, and you’ll be making money shooting and creating drone maps in no time! 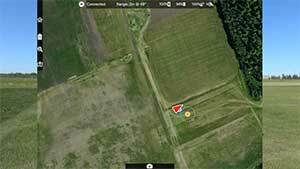 Ready to start mastering drone mapping? If you’re ready to start mastering your drone and it’s application in mapping, then let’s begin! This course was designed for you, and there is no better way to quickly get from A to B, and start making awesome drone maps that will make you money! If you have any questions before we start, be sure to let us know, but otherwise let’s begin!